How perfect are these for sleep away camp? 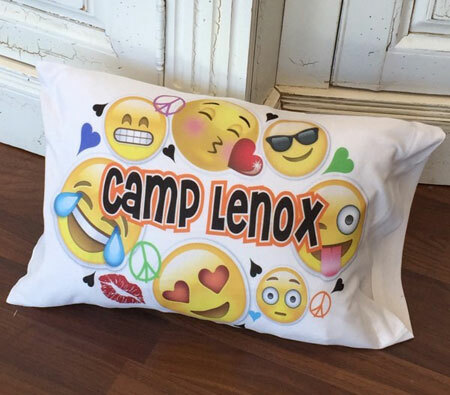 So adorable we can add your personalization (name or camp name, etc.) and detail the text with camp colors. Can be purchased as a small travel pillow (case plus insert) or as a large standard pillowcase to fit your standard sized pillow. You can list up to 2 camp colors and the artist will attempt to use those colors. We cannot guarantee that the colors you list will exactly match your camp's colors.